The smartphone is not only a telephone but also a real toolbox thanks to its multiple features, and applications. In fact, a mobile application allows us to answer very precise needs, like easy access to information, practicality, and time management. A mobile application also opens a promising access to your business because it creates a new link with your target, a link allowing you to increase your visibility, your reputation, or even your revenue. Our web Digital Marketing agency in Dubai, specialized in development of mobile application, perfectly knows the importance of this technology and the development of mobile marketing. Our team designs applications for you that ensure a highly qualitative presence. Mobilizing your projects first, through a strategic phase to fulfill the fixed goals such as, equipping your sales people, customizing your e-shop, or developing the mobile application for your brand. Native Application: developed for all mobile operating systems (iOS, Android, Windows Phone) and downloadable in app stores. Hybrid Application: web application made available in app stores. All our mobile apps simplify the clickstream of "mobile users" while promoting emotion and pleasure, all to provide the user with an optimal experience (UX). the most daily used accessory. Moreover, mobile applications offers you the opportunity to market products displayed on your website, and therefore significantly increasing your revenue through the customization of the buying journey of your customers . Furthermore, the mobile application allows you to exploit new tools, such as geo-location, allowing you to launch targeted promotional offer to encourage the purchase. 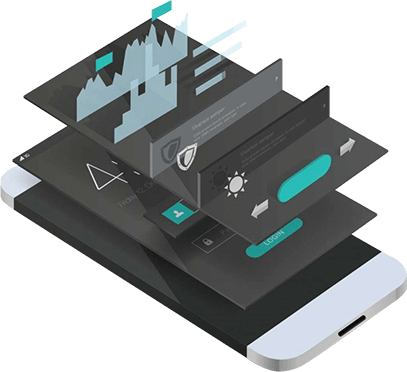 One has to admit that the creation of a mobile application could boost your sales and corporate communication, providing an adequate design adapted to the needs of your customers. 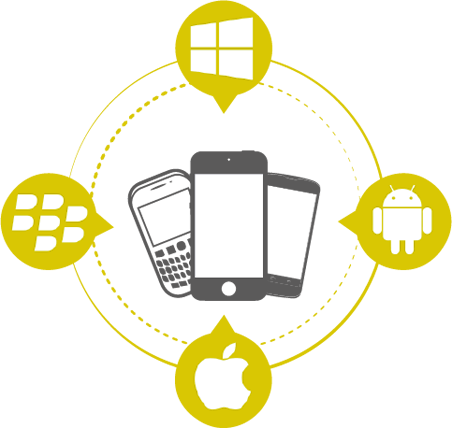 Eminence, your Mobile Application Development in Dubai. In a world resolutely turned towards new technologies, the use of mobile applications becomes essential for all companies. Eminence allows your company to create a link with your audience through an application which simplifies the access to your content. Are you interested in MOBILE APPLICATION?